Quick summary: This activity is designed to engage children with the beauty of coral reefs and the role coral reefs play in supporting life in our ocean. Both younger and older children are invited to respond to a series of flashcards. Older children are then invited to create their own coral reef in their room. This activity is designed to help connect children to the wonders of the natural world through sensory and play-based learning. 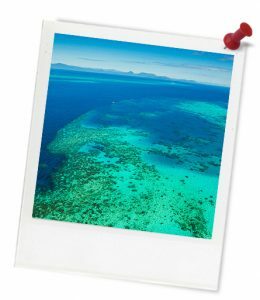 Print and cut out the Colours of the Reef – Flashcards. Glue the provocations to the back of each corresponding image. Collect a range of materials related to the sea, such as shells, sand, seaweed, sponges, water, driftwood, etc. Collect a range of materials related to the sea, such as shells, sand, seaweed, sponges, water, driftwood, etc. Tip: If you are inside or are with very young children who may put objects in their mouths, you could place smaller items (including sand) in clear plastic containers. Children can view the items and shake them. Unit of work: Blue The Film: Early Learning. Learning goals: The aim of this activity is to get children thinking about coral reefs and why they are important to life in our oceans. Both younger and older children begin by responding to a series of flashcards that describe some of the beauty of coral reefs. Older children are then invited to create their own coral reef in their room, thinking about what plants and animals might be found on their reef. Older children can extend their exploration of reefs and reef health by thinking about how waste might affect coral reefs. From space, our planet appears as a tiny blue dot in the vastness of the universe. 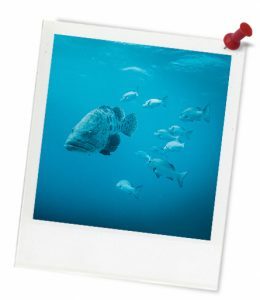 No matter where you live on our blue planet – you’re connected to the sea.